Did the vintage Rolex Prince (any model) ever come with a bombe crystal? Number of winds required to start & complete an A. Lange & Söhne power reserve? Does Omega repair with a correct factory/historical specific bezel to their vintage Speedmasters? Vintage Vacheron Constantin 4178 restoration – cost and time? 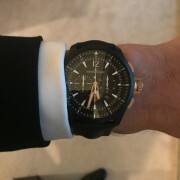 Can IWC refurbish an old Spitfire XV to a brand new looking condition? Any photos of an aftermarket pilot strap with bronze rivets to match a bronze Zenith Type 20? My mum’s vintage Girard-Perregaux Ladies watch – more info please? Information about movement in a vintage Bucherer day-date chronometer? 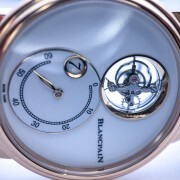 Blancpain silicium kit upgrade for Aqualung movement worth it? Question about Blancpain Villeret Ultra Slim individual numbering? Does a Tudor 9140/0 Ranger 2 wear the same as a Datejust? 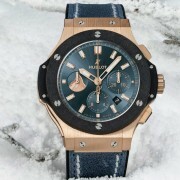 Difference bw these two Audemars Piguet Royal Oak Perpetual Calendar models? 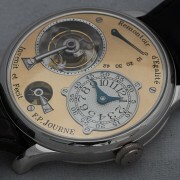 Valjoux 72 watchmaking & repair help needed – why the ‘nub’?